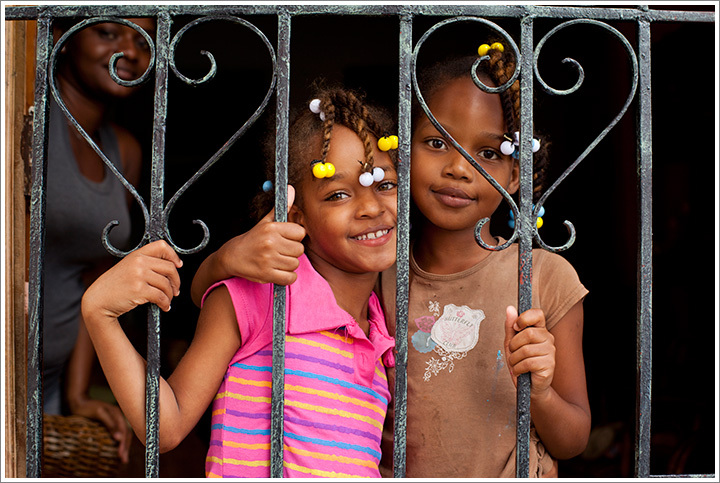 Portrait of young girls in doorway in home within Ciudad Colonial neighborhood. Photographed January 12, 2011 with a Canon EOS-5D II camera and 50mm f/1.4 Zeiss lens. Exposure 1/60 second at f/4. This entry was posted on Wednesday, January 12th, 2011 at 6:27 pm. It is filed under On the Road and tagged with Caribbean, Dominican Republic, Portraits, Street Scenes. You can follow any responses to this entry through the RSS 2.0 feed.